To identity the cause of the problem so appropriate treatment can begin. A wide range of treatment techniques and approaches, individualised to each patients needs. Covering the principles of rehab in the early, intermediate, late and pre-discharge stages of recovery, incorporating functional and sports specific programmes. Maintenance massage including sports massage, deep tissue and bamboo massage. Whether you’re a novice or a seasoned runner keep those niggles at bay with regular massages, advise and tips from Extreme Sports Therapy! Book in today! Very professional, brilliant and friendly service. She knows her stuff. I visited Lou with a shoulder complaint I'd had for a couple of years, after 2 sessions with her and following the exercises she gave me to do at home I feel like a different person! Highly recommended. Lou is extremely knowledgeable and has helped both my father and I with injuries picked up in training, she always diagnoses the problem quickly and gets you recovered and back to training as quickly as possible! Could not recommend her highly enough. Following a troublesome Achilles injury, Louise at Extreme Sports Therapy has been key in helping me recover and get back to my sport. Friendly, professional and effective I wouldn't hesitate to recommend! Great and friendly therapy from Louise in a nice location. Always accommodating with great advice on muscle soreness, exercises and rehab. Has helped me out on numerous occasions! 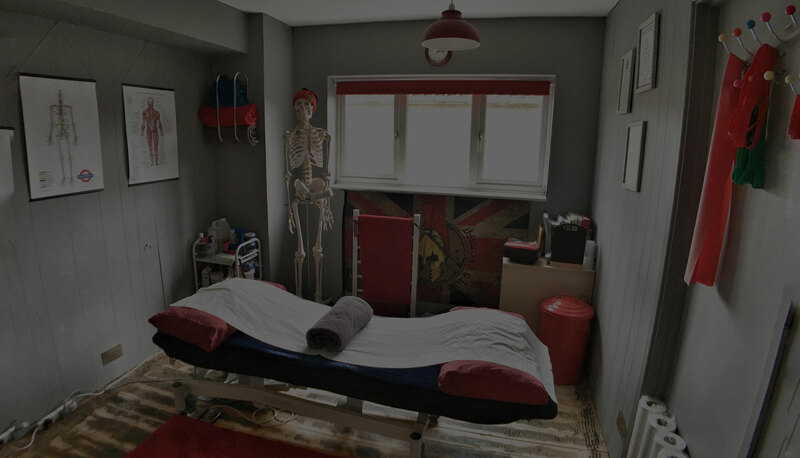 Lou is an amazing sports therapist, I have had constant shoulder and upper back niggles over the last couple of years but with Lou’s expert work and advice I’m moving better than ever! I highly recommend extreme sports therapy. After suffering from a shoulder injury I found this place really helped me on the road to recovery. Highly professional, caring and friendly environment. Lou is a miracle worker! Ok, not quite, but after some extensive work on my ankles after bad sprains I’m doing much better. It’s really benefited me having a structured plan for recovery to stick to. Had terrible tight shoulders with tingling hands when I went to see Lou and she fixed me really quickly with an intensive course of therapy and now I have regular shoulder massages and no further problems! So after my raley to front edge last week I struggled to do much with my left arm, after Lou worked her magic I can actually put it behind my back with out pain. I am actually astounded! Highly recommend and personally would go nowhere else.